This tree was a Cypress tree with two codominant stems or ‘trunks’. 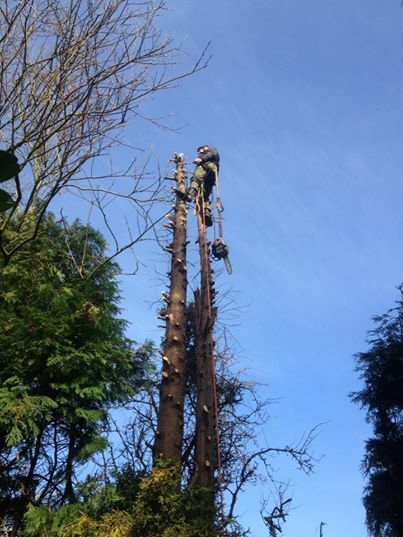 Our tree surgeons tackled this dismantle using climbing spikes on the feet to ascend removing all of the branches on the way up. Once at the top, the stems are cut into sections which can be thrown out of the way of any obstacles, in this case two sheds. 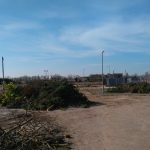 The tree was located in Liverpool on a housing estate which backs on to sheltered housing and had been worrying some of the residents who lived closest. 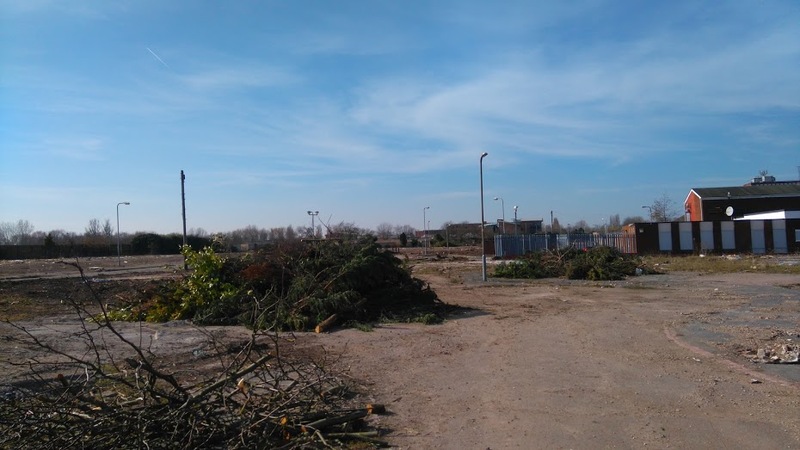 All of the arising were removed from site and taken for processing and recycled for biomass. 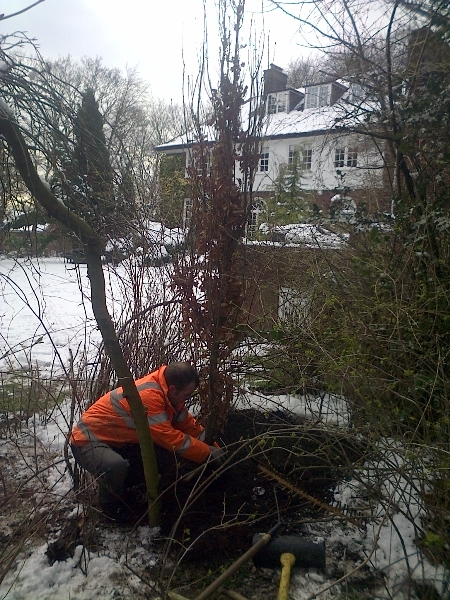 This started with the removal of a Crack willow which had become dangerous due to its age. The customer wanted to replace the tree with something more reliable so I suggested a native species so we agreed on this fastigiate Oak. This tree was a mature Turkey Oak which was dying back and in recession. 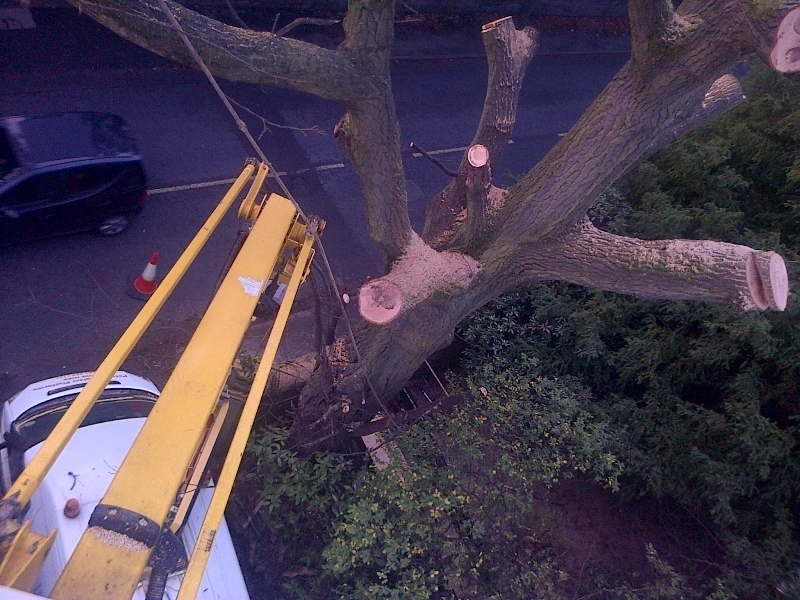 Our tree surgeons employed the use of a mobile elevated work platform as we could not guarantee the integrity of the branches which needed to be climbed. 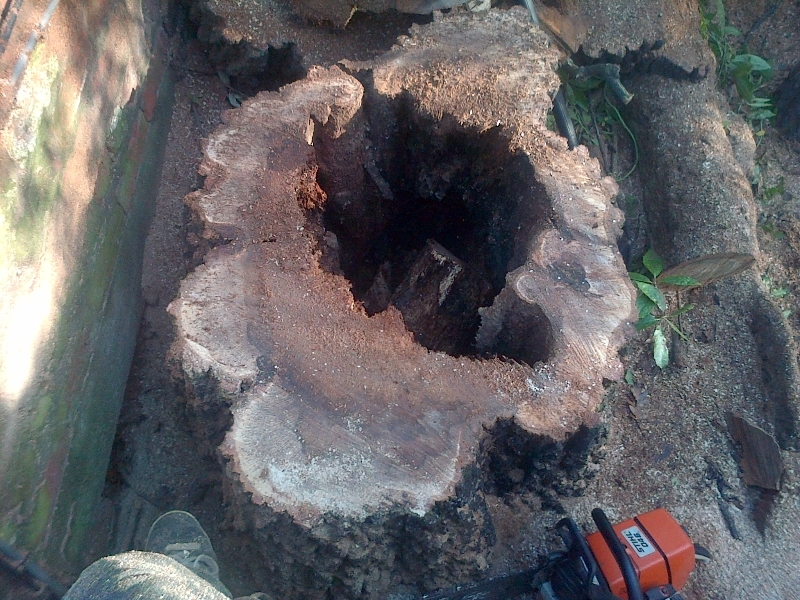 The tree was dismantled on the first day and removed from site on the second. 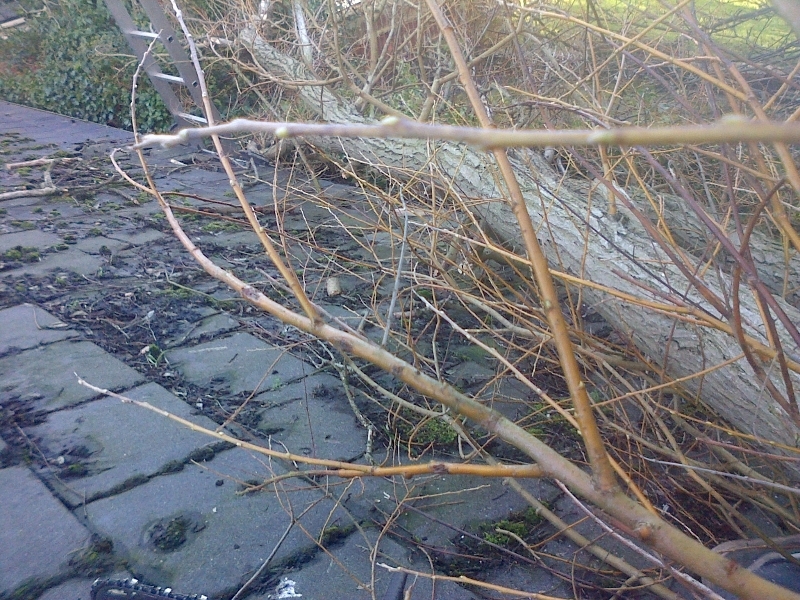 This tree was situated on Mossley Hill rd up against the front wall of the garden and stretched across to the other side of the road. 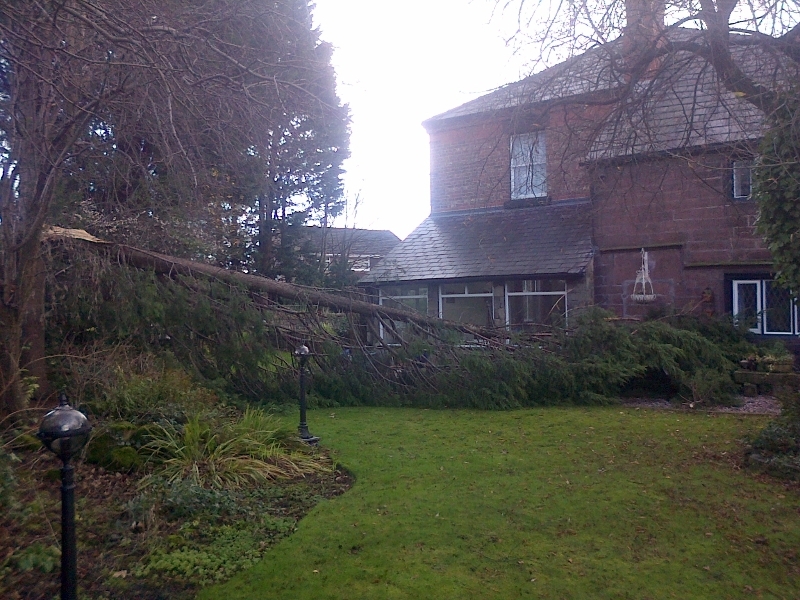 The tree was a Turkey Oak and was badly dying back with some substantial pieces of timber already falling to the ground. For this job we utilised a van mounted cherry picker to minimise the disruption to traffic as it was done in the busy Christmas period. The tree was eventually replaced with a native fastigiate Oak.